Government has slashed the price of blood at Government health institutions to $50 a pint with effect from today, following the injection of a $4,2 million subsidy from the Health Levy, Health and Child Care Minister Dr David Parirenyatwa has said. Exactly two months ago, Government reduced the price from $100 to $80 a pint at all Government institutions. Before dropping to $100 in October 2016, a pint of blood was pegged at $135 - figures that were beyond the reach of many resulting in many deaths. Speaking to our Harare Bureau yesterday, Dr Parirenyatwa said the latest development was part of his 100-day plan to make health services, blood included, not only available but also accessible to all. "We want to make sure that all health services are not only available but also accessible to everyone and with effect from tomorrow the cost of a pint of blood will be $50. "We have availed a subsidy of $4,2 million to the NBSZ (National Blood Services Zimbabwe) for them to meet some of the costs associated with blood collection and processing," said Dr Parirenyatwa. He said his Ministry was looking forward to reducing the cost to $10 a pint and Government will continue looking into modalities of achieving that target. "This is an important landmark for us in the health sector as we aim to hit our 100-day target," said Dr Parirenyatwa. He said since the Health Levy was collected each month, Government was looking forward to continuing to support the NBSZ to ensure sustainability of the reduced price. Government is collecting at least $4 million every month from the cellphone levy, the majority of which is used to procure medicines. A five percent allowance is deducted from every $1 worth of airtime, money that is then channelled towards the health levy. Commenting on other issues of governance within the NBSZ that were contributing to blood donor apathy that resulted in the dwindling of the blood bank towards the end of 2017, Dr Parirenyatwa said Government has ordered the institution to hold its Extra-ordinary General Meeting before the end of this month (January). "We have asked them to make sure that they hold an EGM before the end of January and that is where we are going to resolve all issues of governance, including the leadership squabbles," said Dr Parirenyatwa. 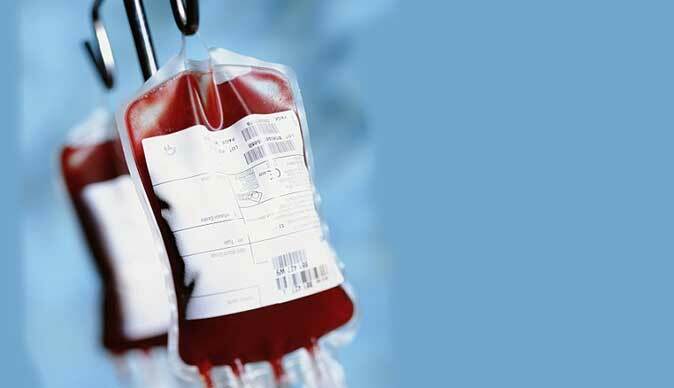 NBSZ public affairs manager Ms Esther Massundah confirmed that blood would be sold for $50 a pint at all public health institutions starting from today. She however could not confirm if the reductions have also been effected in the private sector, which is currently buying blood at $120 from NBSZ. "The position with regards to the private sector would be clearer soon after the holidays, but special focus was on Government institutions which consume 80 percent of our products," said Ms Massundah. She said internally, NBSZ implemented cost-cutting measures, which also saw its annual budget dropping from $9 million to $7,8 million. Commenting on the latest reduction, renowned Harare lawyer who is also a blood donor, Mr Rodgers Matsikidze welcomed the development as a step in the right direction. "That is very positive news as we begin the year and this is evidence that it is possible for the price of blood to go to even zero," said Mr Matsikidze. He said the next step for Government should be to ensure that patients with chronic illnesses, pregnant women, children under the age of five years and the elderly get blood for free. He said Government should also make provisions for those who cannot afford to pay for blood completely to get it for free. "We donate blood for no payment and such great sacrifice should also get to the beneficiaries at no cost, whenever possible," said Mr Matsikidze. He challenged Government to speed up regulation of blood and blood products in the country, saying such a critical sector should not be left unregulated. Although blood is donated for free, the NBSZ had always been arguing that it costs $135 to produce a unit of blood and this is the price the blood was being sold to hospitals as there were no subsidies. Specialist surgeon Dr Junica Dari, who is also a loyal blood donor, applauded Government for the price reductions saying many lives would be saved. Dr Dari said on many occasions patients would die as they failed to pay for the required amount of blood. "All general surgeries, ophthalmology, neuro, orthopaedic, gynaecology and all other major surgeries require at least four units of blood. The majority of maternal patients also require additional blood and blood cancer patients require at least three units of blood every month. "Some of these patients end up dying as they fail to raise the required money to get the blood, which is accessed on a cash up-front basis," said Dr Dari. He said from a medical perspective, the next step should be decentralisation of blood distribution centres across the country. "There are only five distribution centres in the whole country and some provinces do not have blood banks such that sometimes patients are required to travel from where they would be receiving treatment to get transfusion in another province. Patients should be able to get treatment from wherever they are," he said.